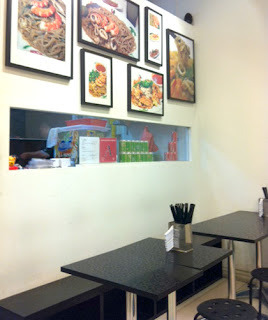 I met a lecturer friend at this small eatery while he was having a 4pm break. 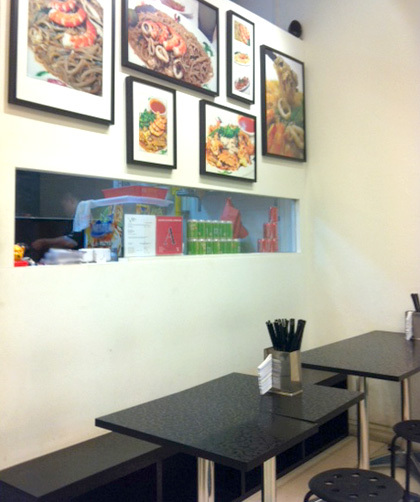 He and his colleagues purposely came here after peak hours to enjoy Fried Hokkien Mee with peace. I saw what he was eating, it drew me to order a plate of golden Mee for myself. 2. 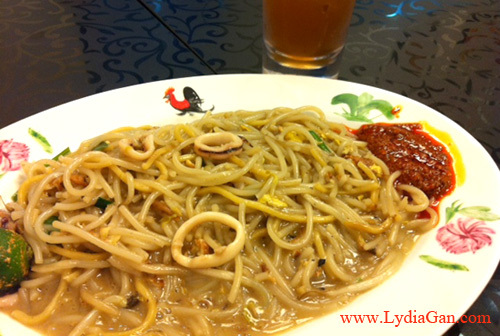 Fried Ngoh Hiang – Included in set meal (B) which costs S$7.80. 3 pieces of fried meat wrap comes with Hokkien Mee + a drink (Ice Lemon tea/ Lemonade). Well done for a one year old shop! Especially during noisy and busy during lunch hours. If possible, visit them during dinner time. Street parking and indoor parking at Sunshine Plaza. Fabilicious supper for NUS students and night owls! 1. 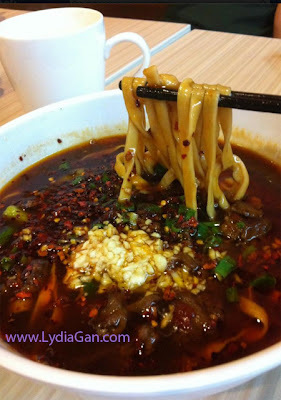 Spicy Beef Hand-made Noodles 牛肉水煮面 – Right balance of sourness, spice and garlic! $8 a bowl. As light eaters, my boyfriend and I have to share a bowl . 2. Dumplings – Bitesize comfort food ideal for light supper. They have individual dishes on display for customers to chose and complement with plain porridge, very suitable for vegetarians. Street parking. Air-conditioned. Delivery service provided. Their soy milk taste like its made from powder.